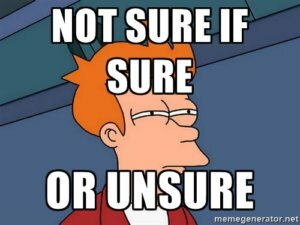 If you aren’t following consistent sales forecasting methods, you could end up making some bad decisions. Be honest. You have no idea what your company is going to be making this time next year. Or, you have an idea of next year, but what about 2020? Sales forecasting solves this! You may be growing, but it’s not something you have much control over. Most B2B businesses don’t do much to offer in the form of sales forecasting. Instead, they tally up their sales for the month, and compare it with the month before or the same month last year. If their sales are up, happy days! If not. “Oh, no. We have to focus on sales, or ads, or [insert another panic move here]”. I’ll be honest with you, it’s easier to take a snapshot of your earnings month over month and decide what to do then and there. That said, it’s no way to monitor your sales—and it is certainly no way to improve them. Adding up your sales per month may tell you whether you are doing good or bad, but sales forecasting can actually help you to grow your business. From better inventory management (if you sell physical products, like Amazon FBA), spotting opportunities for your business, and setting budgets—there is a lot to like about sales forecasting. The same can apply in SaaS and really any other business. The main reason why sales forecasting is a must in a B2B environment? Because you will be able to take advantage of future changes and opportunities. By having a good idea of your future revenues (when and where they will be generated) you will give your business the ability to take advantage of any future changes. But, with reliable sales forecasting, you have the strong basis needed for future planning. You will be able to react to any situation and you will be able to carefully plan your business’ route to success. Unfortunately, B2B sales forecasting isn’t a walk in the park. Most companies don’t have the enormous sales volumes needed for statistical forecasting techniques. Because of this, they choose one of two options: forecast categories and the weighted pipeline. 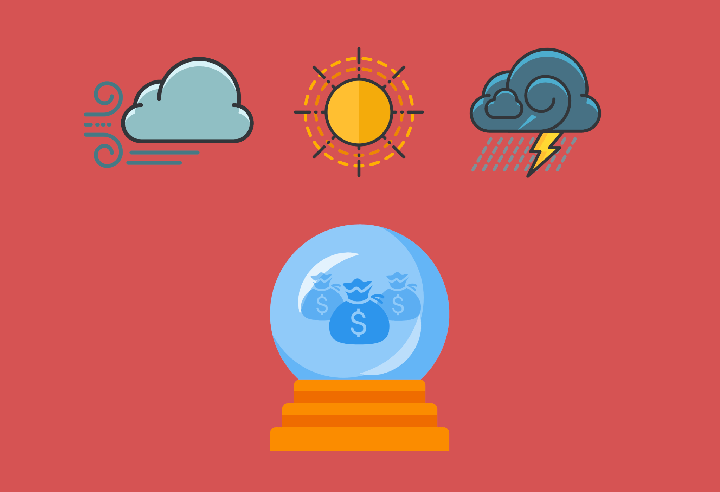 The forecast categories approach is when you have different categories and you allocate opportunities to each category based on their degree of certainty. The weighted pipeline approach involves the application of a closing probability to live opportunities. Both of these are easy. But, that’s about as far as the good news goes. There are many drawbacks associated with both techniques, including closing dates and judgmental amounts. The main problem, especially with the weighted pipeline approach, is that the all-or-nothing nature of B2B opportunities is ignored. This is no good. No good at all. So, what approaches can you add to the mix to improve sales forecasting? A well-documented sales process IN WRITING is key. This is because both forecast categories and the weighted pipeline approach need your opportunities to be in a stage that accurately reflects how far along they are in your sales process. Your sales reps also need to know exactly where they are. And they need to know exactly what to do next. Looking at the buying processes of the prospective client will enable them to work out their next moves. You should put together a small requirement list at this stage. Some CRM applications enable validation rules to be created so you know what opportunities should be taken to the next stage and what opportunities shouldn’t. Use these sparingly, as they devalue data quality. A sales process will make or break your forecasts. Having one makes your revenue more predictable and gives you a base from which to set and achieve targets for the future. There are several basic methods (like this post from SalesHackers points out) of getting an accurate number, but we’re going to focus in on the basics. If you can figure up the basic math and the few calculations you’ll need, the forecast will end up more accurate than a “ballpark figure”. You’ll need to figure out how many leads you’re getting (for each particular month) as well as the sources of those leads (to help you grow). Then, figure out how many of those leads (again, per month) turned into bona fide clients (i.e. conversion rate). Finally, you’ll need to figure out the average sale value. How much did the average new client pay to get your products/services? Once you have numbers that show where you’ve been, you can figure out where you can realistically go. If that sounds like Matthew McConaughey trying to sell you a Lincoln, sorry. But it’s true. Goals and forecasts are two sides of the same coin. Your aspirations can’t be met without facts and facts have to be put to use. Using your current sales and methods can help you set realistic goals, and ambitious goals can help you create and improve revenue streams. Example: Let’s say, a software-as-a-service (SaaS) product is making $70k/mo on average. That number comes from servicing around 200 clients. Not bad, but the company really wants to make it to 7 figures (or about $84k/mo) within the next 6 months. What’s to say that your goal shouldn’t be a million within 6 months? Now, if you’re trying to quadruple it within the same timeframe—that would be a monumental undertaking that requires infrastructure, staffing, and a lot more leads than you currently get. See the importance of forecasts? Is there a way to reach a revenue goal and accurately forecast that it can be done within a foreseeable timeframe? Yep. You see what you’re doing and set the goal. Now, it’s all about working backwards. Keeping with our example goal, we have to break down the individual elements in order to forecast how much revenue is necessary to meet the goal. This is also the part where you need to know which number affect your business the most. At $70,000/mo in revenue and 200 clients that is an average revenue of $350/mo per client. But forecasting isn’t always as simple as adding 25 clients within six months. Our example was a SaaS product and there is churn, or the percentage of clients that leave on a monthly/annual basis. If our example company is gaining 10 clients a month, but losing 8 one month and 11 the next. If you simply look at “this time last year”, you see growth, but it’s not really forecast-worthy. The best plan to accurately forecast would be to discover why people are leaving and reduce their churn. If they can find the metaphorical leak, it will produce consistent growth. Instead of losing most of your incoming clients, revenue will stabilize from month to month and increase in a trackable fashion. But What If Retention Isn’t an Option? If you aren’t losing your customers, then it’s not churn, but it is acquisition. Most businesses will have to gain new clients to increase revenue instead of retaining current clients. If you’re an agency that specializes in SEO, you may lose clients due to success. Or, if you are a B2B, clients may buy once and not need anything else from you. If you’re product is not on a recurring revenue model—the only way to grow is to forecast and plan out how you’re going to acquire new clients. Doing this will require you to understand which methods are working for your lead generation. Figuring out where the best quality leads are coming from and increasing those leads in a way that is manageable—while helping you reach your forecasts. One thing that you do need to get right is the accuracy of the sales forecast. You can’t cut corners. While there will always be volatility, competition, and even economic factors that make forecasts not 100% accurate—issues should be the exception and not the rule. You want to be somewhere in between the accuracy of Minority Report (creepy level of accuracy) and Bill Murray in Groundhog Day (laughable inaccuracy). One’s impossible to achieve, while the other is as frustratingly useless as the predictions of a weather-predicting woodchuck. What’s the point in setting a goal without the data that proves you can actually hit it? It may be quicker and easier, but the figures won’t add up in the future, and you’ll end up making bad decisions. This ultimately gives you a big headache and lots of problems on your hands. A shortcut that is definitely not worth it. So here are some tips to help you get the accuracy of your forecast right and hit those sales targets. Must win NOW: Pick those lead generation tactics that work and increase them. Or, like our example, lower churn and improve onboarding to watch revenue rise. Must develop for next quarter: Next, set up the tasks/experiments that you’ll need to hit longer term goals and ensure that you’re hitting your growth potential. Qualify out: Keep detailed track of everything and review data to see if things are on target. Forecasts will become more accurate over time if you rely on data as you move forward. By splitting the deals up into the three categories, you will know what to give your immediate attention to. Next, avoid surprises! Surprises are a no-no in the business world. This isn’t the equivalent to your partner whisking you away to the Caribbean for a week. You need automated visibility in each deal so you can see what has changed from week-to-week, so you can make informed decisions about your next moves. Don’t allow for subjective forecasting. Customer verifiable outcomes should form the basis of your sales process. You also need to know your team’s quota, as well as the projected achievement and current closed achievement, so you can compare against the quota. Sounds easy enough, right? Yet so many businesses don’t do this well! Don’t be one of them. You need to establish a culture of collaboration, learning, and accountability if you are to improve the accuracy and quality of your sales forecasts. So, how do you do this? You need to reward honesty and accuracy, and aid your team by aligning the sales and marketing efforts (or smarketing). We’ve highlighted the importance of accuracy, so create an environment where honest changes are rewarded and encouraged, even if the news isn’t good news. Conduct regular deal reviews, read market changes and their impact on closing behavior, know your sales cycle length, and use consistent definitions. Remove as much of the politics as possible. I mean, who likes politics anyway? Remove amateurs from the process, reward accuracy, and decouple forecasts from quotas. You wouldn’t live in a house that was built on a rocky foundation, would you? Well, let’s hope not! Data collection is the foundation of your sales forecast, so you need to do it correctly. It needs to be consistent and accurate. Otherwise, you will be doomed from the start. If you don’t use a consistent counting method, the impact could be disastrous. This is especially true for a B2B environment, as the customer journey is a long one and they engage with a wide number of channels. Make sure you have a centralized system in place for tracking conversions from all campaigns and channels – the entire journey. Remember the two techniques mentioned earlier—forecast categories and the weighted pipeline approach? Remember the drawbacks? Well, one of them was the exposure to bad closing dates—something both techniques suffer from. There are three reality checks you can use for closing dates, which will boost your sales forecasts considerably. The first is to back pedal. You know your sales process. You know about each pipeline stage; the requirements and the length of time they take. This means that you should start from the closing date when looking at an opportunity. Back-pedal through the process to see if you arrive at today’s date. If so, your closing date is accurate. You should also identify stagnating opportunities early on and hunt outdated closing dates down. Be honest; right now, does your sales manager pull together reports and spreadsheets? They then meet with the reps to check off the boxes, right? This is no good! Why? Well, executives and managers are far too removed from actual buyer behaviour for this to work. An individual reps pipeline makes up the basis of your sales forecast. The best reps, therefore, have the most accurate pipelines and forecasts. One of the best things you can do is ask your sales and marketing team how many leads they’d need to reach the new target. This means that your reps are the key to your forecasts. Now is a good time to get your sales managers to coach your reps on understanding buyer behaviour and how to create their pipelines with this in mind. You don’t need us to tell you that humans are complicated creatures. Unfortunately, you still have to make an effort to understand them. Do this, and you will see your forecasting performance improve. First, you need to build an accurate understanding, and this means using evidence, of where the prospect is in their decision-making process. Before they make an order, what steps are required? Then you need to build an accurate assessment, again using evidence, of how well positioned you are compared to other options the buyer is considering. Sometimes the evidence is clear, other times you will need to go looking for it. Either way, you will miss something important if you don’t know what you are looking for! So, hopefully, you now have an understanding about the different sales forecasting methods you can use to improve the quality and accuracy of your forecasts. While forecast categories and the weighted pipeline approach may be easy, they aren’t good enough on their own. However, you can mitigate their numerous drawbacks with the sales forecasting tips that have been mentioned above. Make sure your sales process is documented, check closing dates, create the right work culture, and ensure you collect data properly to begin with, and you won’t go too far wrong!